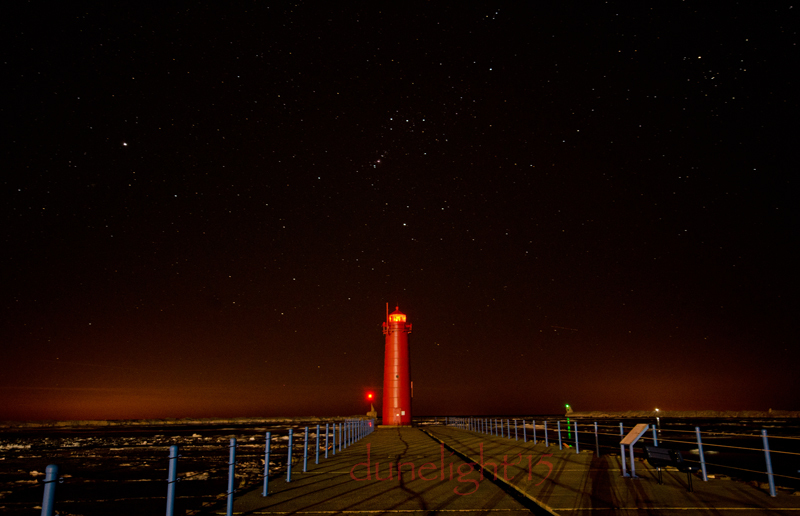 I was shooting the Northern Lights but between the myriad lights of the piers and the much brighter lights of the city behind me, my eyes were having trouble adjusting to the dark. I thought I imagined red in the distance but shook it off. I ‘knew’ the sky was not red this time of night, this time of year. Worn from the day I really felt the cold and ached to return to my warm bed. Last night even the thawing city was quiet behind me as the remains of harbor ice made it’s way out to sea. Great chunks whispered past. Sleeping ducks and geese murmured in surprise as stragglers from the exodus awoke them. Occasionally the ice popped and rolled and the waking birds complained a little louder before settling back in. I was a lone human riding a concrete plank on a vast sea of moving ice. Distant birds murmured complaints as plasma danced red on the horizon. Eerie good. Such cold & frozen regions seem magical, at least from the distance of sub-tropical Australia. Lovely pics in this & your other post, and evocative words. Thank you for your kind words. I don’t think I could tolerate the cold without the magical beauty part. No, it must be very challenging. I just saw in the news about the northern lights flashing across the skies of Europe and here you are with Aurora Borealis! Love the photo! You are blessed to be able to witness such beauty in nature! Creo que si…pero..no es bastante grande, no? No tengo una teclada de español. Lo siento. It is so difficult to see the aurora, or meteors or stargaze in general when you live in a city. I am up against the great dark sky of Lake Michigan, yet I see the glow of cities 63 miles away on the other side as well as the intense glow from our own goofy street lamps.